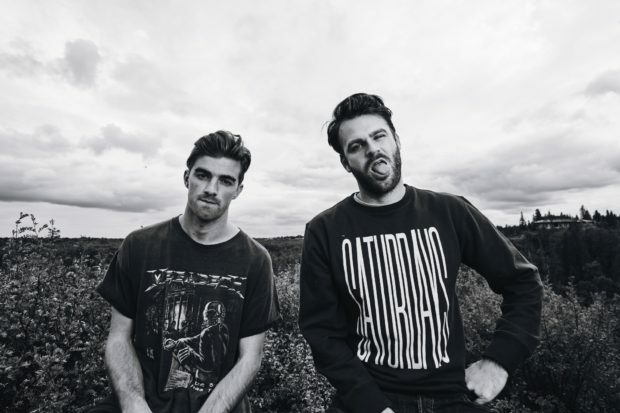 If you haven’t been dazzled by a track from EDM duo, The Chainsmokers, you’ve probably been living under a rock. Comprised of DJs Andrew Taggart and Alex Pall, their buzzworthy tracks have been blowing up the airwaves for the past couple of years. From the addicting “Don’t Let Me Down” featuring pop songstress Daya to the hit “Closer” featuring Halsey – not to mention the party favorite, “Roses” featuring none other than ROZES herself – there really is nothing they cannot do. 2017 looks to be a big year for the duo, so why not get acquainted with them with these six fun facts?! They’ve been rejected by many of the venues they now are able to play. Their name didn’t have any historical background or special meaning – it just sounded clever. They were introduced to each other by a friend of a friend. Their biggest music guilty pleasure is Coldplay. Their song, “#SELFIE,” was an accident…but it stuck. Their computer crashed after creating “Don’t Let Me Down,” causing the duo to start over from scratch.